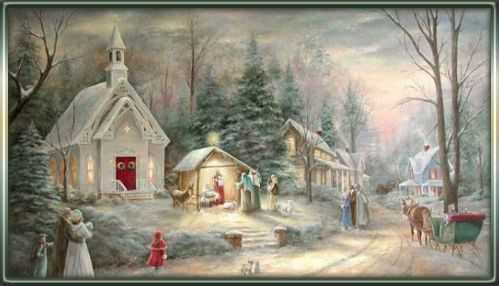 As snow falls from above, Makes the holy season A beauty filled with love. The array of God's creation Is a vision for all to see, At this very special time That He gave you and me. The awareness of His miracle's Surrounds us every day Yet at this glorious time of year His sketch's seem to say. Open wide your sleepy eyes This gift I give to you So covet it within your heart Enjoy as I wish you to. So have a blessed Christmas Sending greetings to keep in touch With family and friends everywhere Because we love you so much.